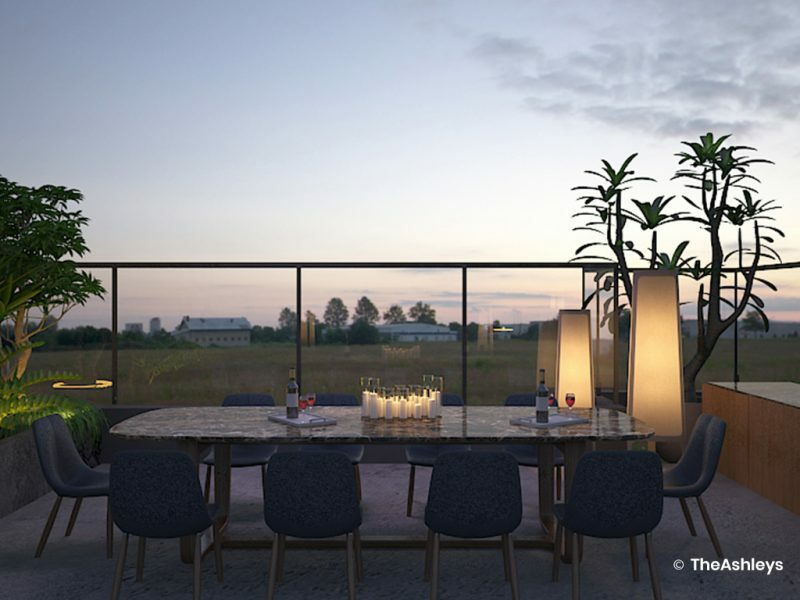 For a truly luxurious urban living experience, this project combined large homes with spacious open areas in which members could relax and enjoy time with loved ones. 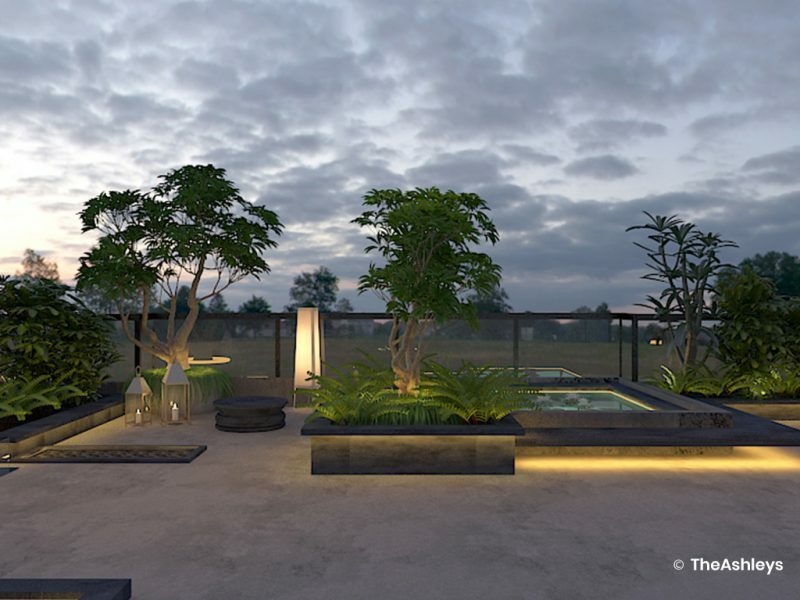 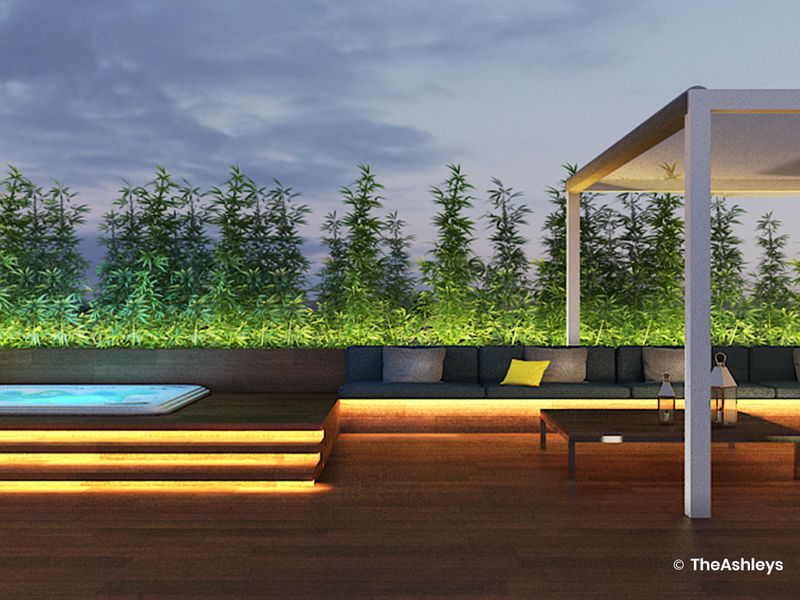 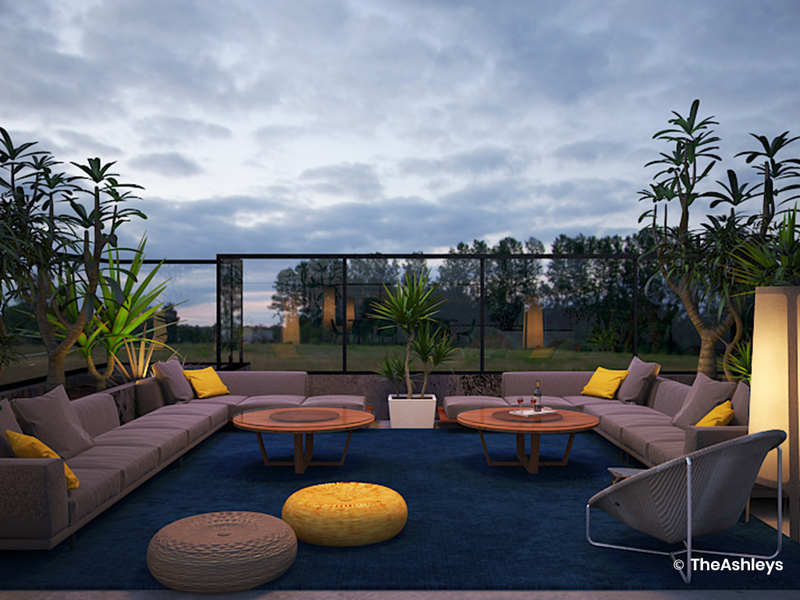 As open space interior designers, we worked with the developer to convert the dead rooftop space into a choice of amenities. 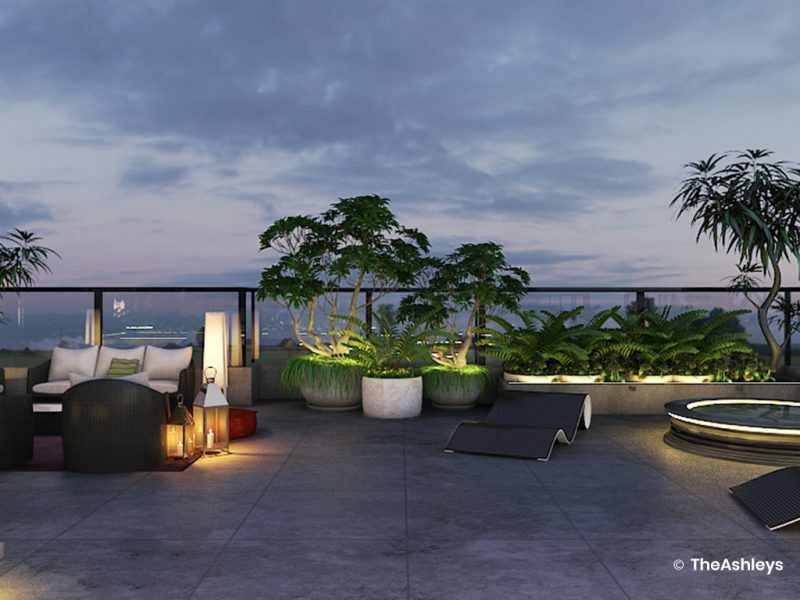 A generous terrace allowed spectacular sky views, with glittering metropolitan landscapes in the evening. 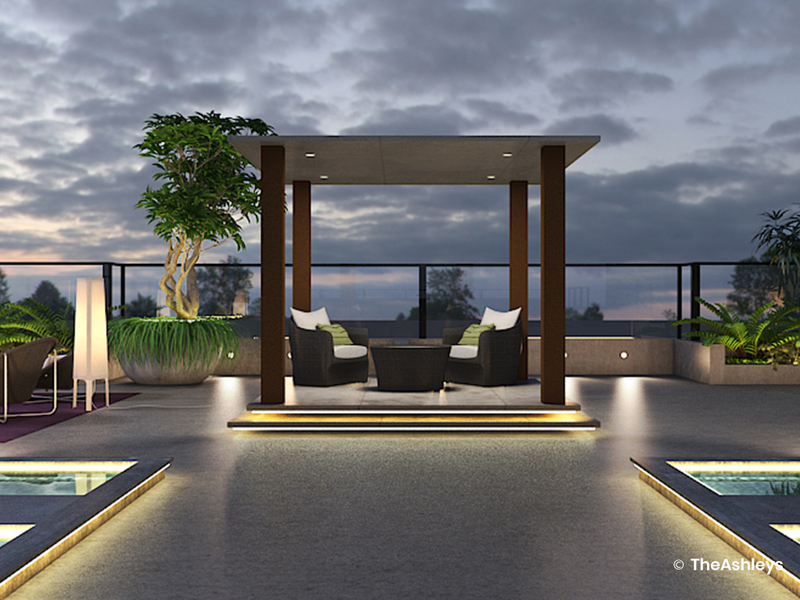 We chose to break this space into pockets, creating a variety of lounges, water bodies, open gym, observatories, and outdoor dining area. 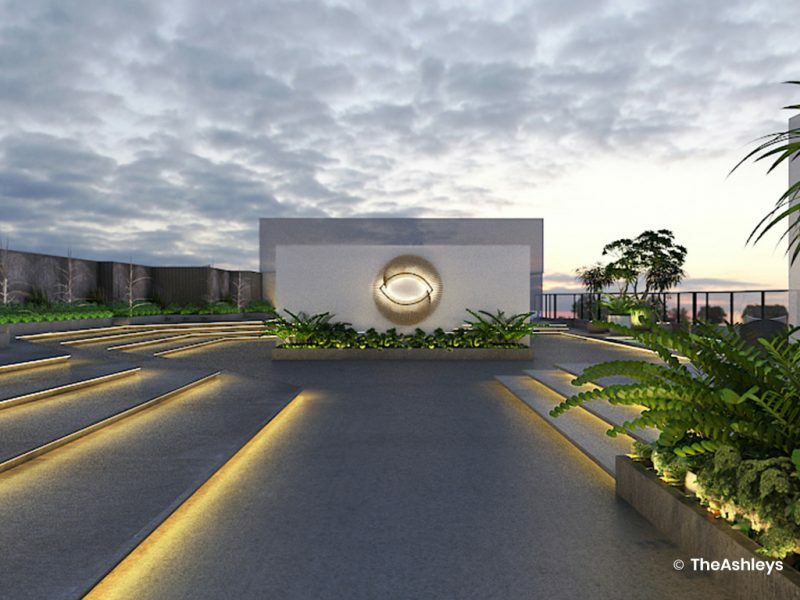 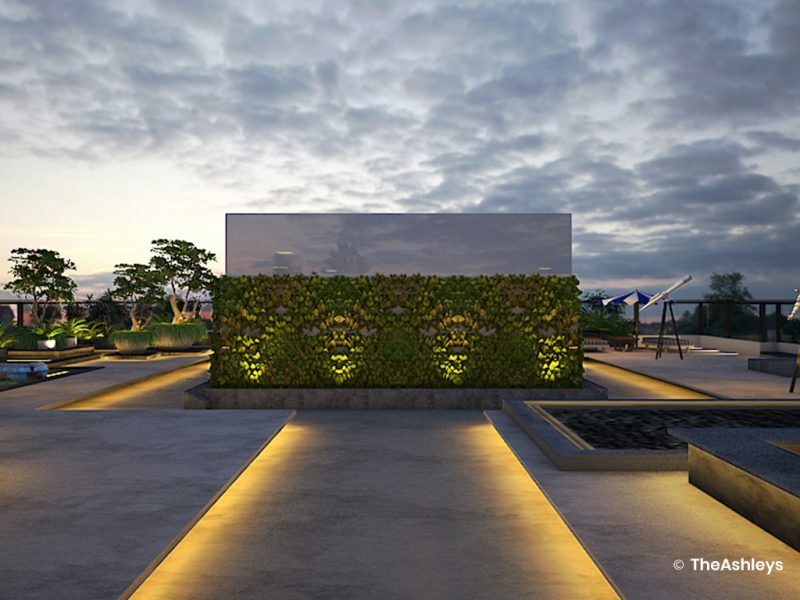 A jogging track was woven through to allow people to enjoy an exclusive, residents-only path that is always accessible. 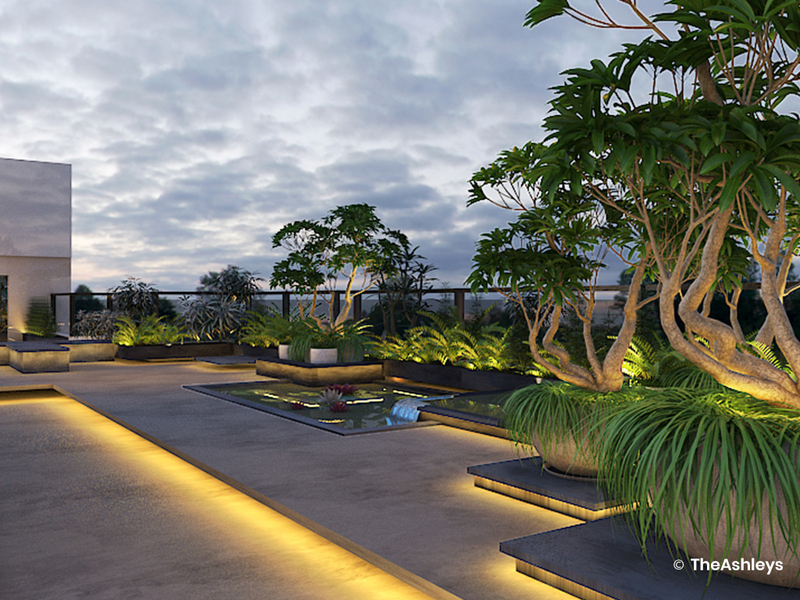 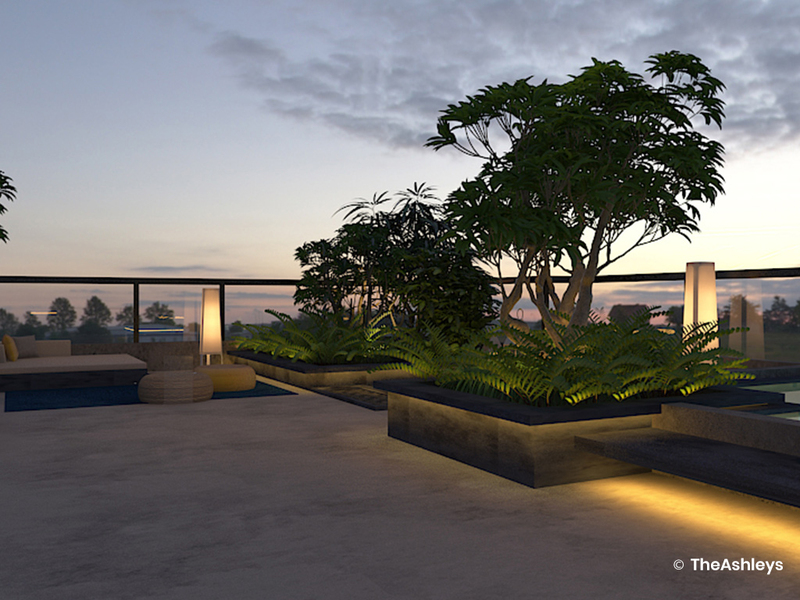 Tropical plants in oversized planters and teeming flower beds add lush greenery to the grey concrete look, with soft lighting to create warmth. 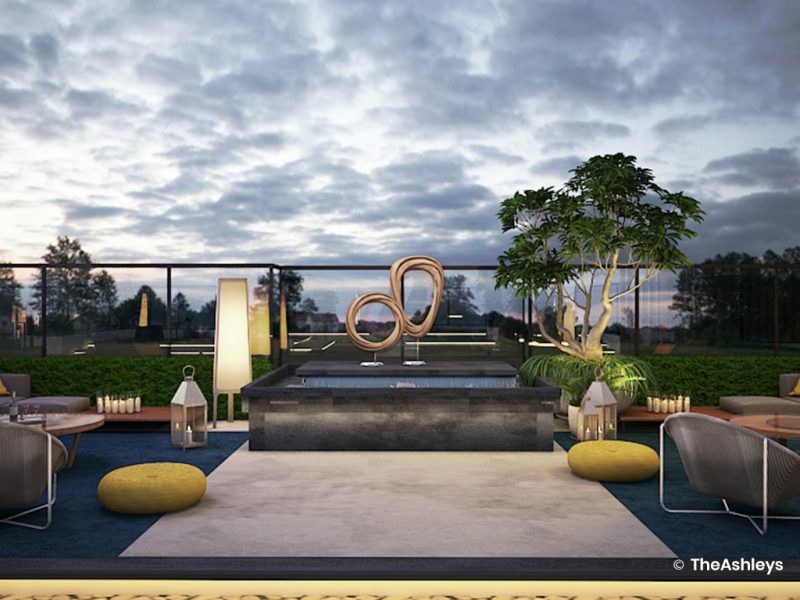 Small pools, lotus pond, gurgling water cascades are the perfect spot for a morning yoga or meditation session. 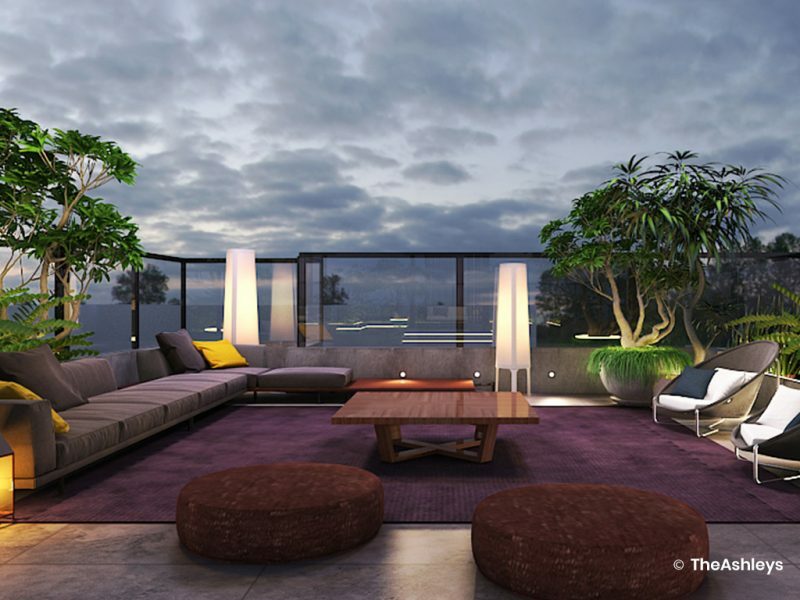 With a terraced layout and discreet partitions, this sky lounge is perfect for hosting parties, evening cups of coffee, or birthday parties.